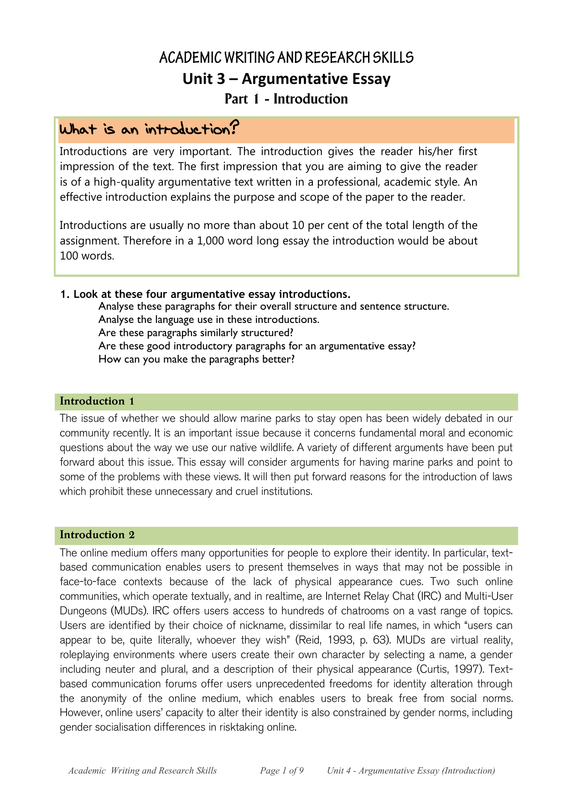 effective introduction explains the purpose and scope of the paper to the reader. 1. Look at these four argumentative essay introductions. 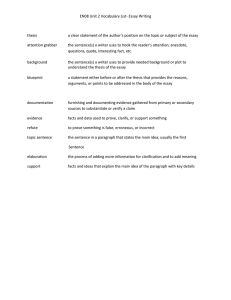 Analyse these paragraphs for their overall structure and sentence structure. Analyse the language use in these introductions. Are these paragraphs similarly structured? 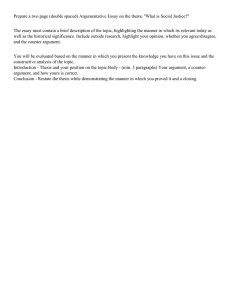 Are these good introductory paragraphs for an argumentative essay? How can you make the paragraphs better? which prohibit these unnecessary and cruel institutions. Dungeons (MUDs). IRC offers users access to hundreds of chatrooms on a vast range of topics. the anonymity of the online medium, which enables users to break free from social norms. gender socialisation differences in risktaking online. are dangerous and a great deal of time and effort is put into getting people out of these habits. people are taking notice of the gruesome consequences of excessive speed. use technology to further enhance their learning. 2. 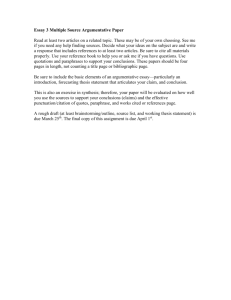 What is normally found in an essay introduction? Choose from the list below. A definition of any unfamiliar terms in the title. 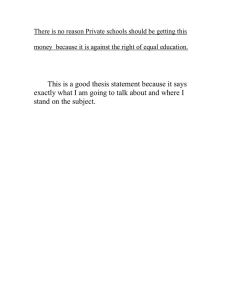 Your opinions on the subject of the essay. 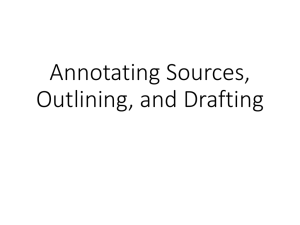 Mention of some sources you have read on the topic. A provocative idea or question to interest the reader. Your aim or purpose in writing. 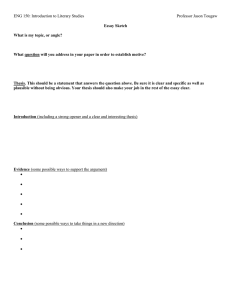 The method you adopt to answer the question (or an outline). Any limitations you set yourself. convince the audience that the claim is true based on the evidence provided. accepted as fact then there is no reason to try to persuade people. called "arguments", "assertions", "propositions" or "premises". reasonably argue that pollution is good. This is an example of a debatable thesis because reasonable people could disagree with it. that corporations, not the government, should be paying to limit pollution. convince readers that your position is right. sources, and planting more trees in order to control or eliminate pollution. money used but also how the money could actually help to control pollution. national anti-pollution campaign should be but also why this is the appropriate focus. the scope of your claim by allowing for the almost inevitable exception to the rule. a) Should classes be separated into boys and girls? Should people under the age of seventeen have an 11:00 PM curfew? Should students be allowed to bring MP3 players and electronic devices to school? Should people be punished for illegally downloading movies and music? 3. 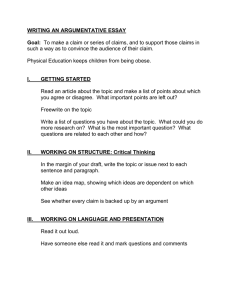 Now write a thesis statement for your argumentative essay topic. the United Kingdom as its head of state. and will outline some of the problems with this position. The majority of smokers in Britain are women. Of all smokers in the UK, 56.2 per cent are women and 43.8 per cent are men. e.g. Students tend to be lazy. Computers have transformed the way we live. The computer has transformed the way we live. Young children learn second languages easily. Such statements are dangerous because there may well be exceptions. Young children tend to learn second languages easily. a. Cats are more intelligent than dogs. b. Earthquakes are difficult to predict. c. There is a link between poverty and disease. d. Women work harder than men. e. Air travel is faster than train travel. 7. Read the following text and underline the generalisations. 8. Write generalisations on the following topics. generalisation and develop it in the same way as in question number 0. Does tourism always have a negative effect on the host country? Should governments use taxation to promote public health? Is it more important to protect forests or to grow food? Is it better for the state to spend money on primary or university education? The scope of your writing is a “road map” that explains how you will defend your thesis. survivors, and billions of dollars spent on medical expenses. 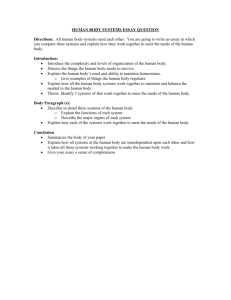 arrangement because they tell the order in which you will present these topics. writing begins 1 inch or 1 ¼ inches from the edges of the paper. All academic writings should have a 1.5 or double spacing. each paragraph before you start the other. If you like indenting, you may do so. Times New Roman, Cambria, Calibri and Arial. The size of the running text is 12 points. usually in bold for ease of reference. The paragraphs are justified. 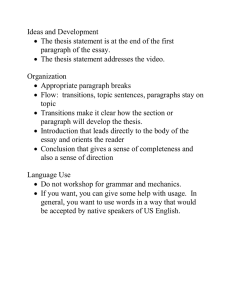 Ideas and Development paragraph of the essay.